I love History as a subject and it tells you the context of things, And I believe, unless you know the context, you cannot comment on a proper course of action. As they say in Project Management world “Explicit Knowledge” is nothing if you do not have a “Tacit Knowledge”. This means documentation, etc.. is not so useful unless you have a situational context in which the project decisions have been taken. In this article, I am taking you back to the history of project management, on how it evolved and how it stands today, and how it can be in the future. Projects are dated back to as old as to the start of mankind. The World’s 7 wonders are nothing but the outcome of successful projects. Maybe, during that time, today’s scientific project management techniques weren’t used. Actually, no one is quite sure about the origins of project management. The word project comes from the Latin word projectum from the Latin verb proicere, “before an action” which in turn comes from pro-, which denotes precedence, something that comes before something else in time (paralleling the Greek πρό) and iacere, “to do”. The word “project” thus originally meant “before an action”. When the English language initially adopted the word, it referred to a plan of something, not to the act of actually carrying this plan out. Not till the early 1900s, there has been any scientific proof of using Project Management techniques; however, I am sure that Project Management was practiced right from the Pyramids of Egypt (BC 2750) to the other wonders of the world. I cannot imagine creating such huge structures with applying techniques of modern project management. Here are the key milestones (I am going to use some project terminologies ) to describe the project management journey. It’s been said that the 4 faces of the Pyramids were managed by different Managers with skilled laborer’s to construct a huge structure touching the sky. The then Emperor constructed this beautiful architecture by hiring the best artisans from Persia, laborers, and criminals from different parts of India to make a formidable team to construct this magnificent wonder in 16 years timeline. In 1911, the publication of Frederic Taylor’s The Principle of Scientific Management, which he based on his work in the steel industry, was an attempt to help unskilled workers transition to new, more complexed projects by simple learning techniques. He pioneered the need for incentive-based wage systems, and how to take advantage of time-saving techniques. Henry Gantt might be the father of modern project management. 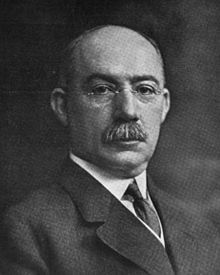 In 1917, he created the eponymous scheduling diagram. It was an innovation. He used a visual timeline to plot tasks as points with durations and linked them if they were dependent. That way, everyone could see the schedule more clear. The Gantt chart was the shot heard around the project management world. 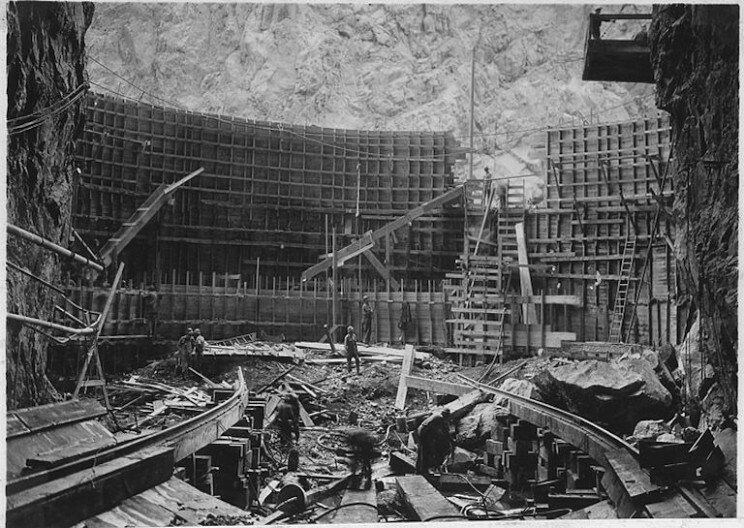 It was used in the building of the Hoover Dam in 1931, which was one of its first major implementations. Gantt charts continue to be used today in many projects and are part of the Online Project Management software. The Critical Path is a technique that is used to predict how long a project will take. It analyzes which sequence of activities has the least amount of scheduling flexibility. The technique was developed by Dupont in 1957 to help work through the complexities of shuttering chemical plants for routine maintenance. The Critical Path proved so successful that it saved Dupont $1 million the first year it used it. In 1958, the United States Department of Defense’s US Navy Special Projects Office developed the Program Evaluation Review (PERT). It focused on the time needed to complete each task and identified the minimum amount of time required to finish the whole project. Another commonly used method of project management, the Work Breakdown Structure (WBS), first came about in the United States Department of Defense. The WBS is a complete hierarchical tree structure of the deliverables and tasks needed to complete a project. In 1965, the International Project Management Association (IPMA) was founded. It is the world’s first project management association. Founded in Vienna as a means for project managers to network, the organization is now registered in Switzerland and is compiled of 50 national and internationally oriented project management associations. As of 2012, it had over 120,000 members. The nonprofit Project Management Institute (PMI) was founded by five volunteers in 1969. Incorporated in Pennsylvania, it held its first symposium in Atlanta in 1969. It has since published A Guide to the Project Management Body of Knowledge (PMBOK), which outlines the processes and knowledge areas of project management and became standard in 1998. PMI is also a certification body, offering both the Certified Associate in Project Management (CAPM) and the Project Management Professional (PMP). The management philosophy of the Theory of Constraints (TOC) was developed to help an organization meet its goals. The title comes from the idea that a manageable system is limited in achieving its goals by several constraints. It was first introduced by Dr. Eliyahu M. Goldratt in his 1984 novel The Goal. The theory was applied to the creation of the Critical Chain Project Management. The Agile software development model that incorporates multiple small teams working intensely and interdependently is known as Scrum, which was named as a project management style in 1986. Developed for software management, it has since moved into use with general projects. The idea of an earned value concept isn’t new. It’s been around since the turn of the 1900s, but it came to prominence as a technique in project management by 1989. Earned Value Management (EVM) helps measure project performance by using a systematic project management process to find variances in projects based on the comparison of work performed and work planned. It is a powerful predictor of cost and schedule control. The UK government created Projects In Controlled Environments (PRINCE) as its standard for all information systems projects in 1989. It was revised in 1996 as PRINCE2 due to criticism that it was too unwieldy and rigid, and therefore only suited for large projects. 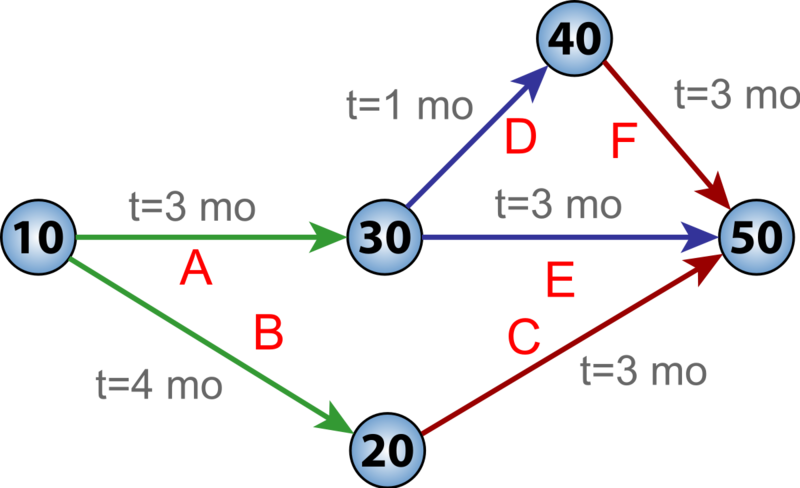 In 1997, Eliyahu M. Goldratt developed Critical Chain Project Management (CCPM), which is based on the methods and algorithms of his Theory of Constraints. It keeps resources levelly loaded while remaining flexible to their start times, and switching between tasks when necessary to keep the project on schedule. The use of iterative and incremental development methods traces back to 1957 with evolutionary project management, through adaptive software development didn’t emerge until the 1970s. But the widespread use of Agile as a project style was codified with the creation of the Agile Manifesto or the Software Development Manifesto, in 2001. With the advent of the Automobile industry and Telecommunications, the speed at which things used to happen increased, and therefore, the interactions & relative complexity increased, and with it, were born new methods to manage your projects. The most striking invention was the Gantt chart by Henry Gnatt. This was the era of application of Management Science. Big dreams got fructified – a lot of advance in Science. It was the time when Man went to outer space and achieved new dimensions in thinking and achievement. Examples of projects undertaken during this period and which influenced the development of modem project management as we know it today include (a) Polaris missile project initiated in 1956 that had the objective of delivering nuclear missiles carried by submarines, known as Fleet Ballistic Missile for the U.S Navy. The project successfully launched its first Polaris missile in 1961; (b) Apollo project initiated in 1960 with the objective of sending the man to the moon. This is the era where Personal Computers came into existence and with it, low-cost project management software. There has been a significant development in the software and the way things used to happen. The project Management tools came into prominence and project managers started accessing the tools and delivering their projects. Examples of major projects undertaken during this period that illustrate the application of high technology, and project management tools and practices include: (a) England France Channel project, 1989 to1991. This project was an international project that involved two governments, several financial institutions, engineering construction companies, and other various organizations from the two countries. (b) Space Shuttle Challenger project, 1983 to 1986. The era of Collaboration and the Internet. The world shrank and the importance of project management increased in this period. Many tools have been introduced which are entry-level to mid-market such as Project Insight to high-level project management software. Also, many institutes such as the PMI, USA or Axelos, UK made the project management modular and interesting, and now, almost every executive is essence a project manager. The professional world of projects has become more complex, much more faster and therefore, much uncertain. 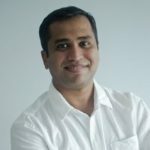 The project manager without the right set of skills and techniques and tools is kind of handicapped in this collaborative environment. Many examples of large-scale projects, such as big Malls and high rise skyscrapers, modern architecture, breathtaking infrastructure possibilities have all become a reality in today’s world. Further to add to the historic wave of Project Management, some observations from my research were the focus areas which the project management dealt with during these different eras. For example, the current techniques of Quality are stemmed and rooted in the 1980s – which were all about quality. The focus and differentiation during this era were Quality and lot of Quality ideas of today’s are well related to the era. Similarly, the 1990s was of globalization and software, and a lot of influence in estimations and communication ideas come from that period. The 2000 was one of competitiveness and project management focusing on attitude and interpersonal skills have evolved from there. The 2010s is of collaboration and complexity, and Project Management is evolving with every year, with every passing moment. From a skill point of view, the Project Managers have grown from Administrators from the 19th century to Managers in the current wave to Strategic Thinkers of the future wave of Project Management. Project Management will evolve much faster as the business is becoming more agile, more focused, more complex. The Future of Project Management is going to be more exciting and my 2 cents is that the Project Manager and the skill set will be more in demand. Watch out for the next series which will be “Future of Project Management”, i.e., What’s the next wave of Project Management?